Cross Member Dolly withstands the strain of heavy loads and eases transportation of large items with its study hardwood construction. Loads sit on raised rubber ends that help prevent slippage. 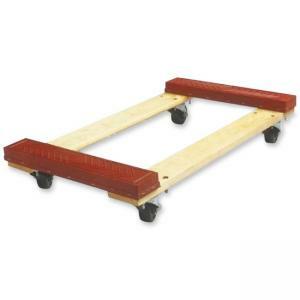 4" hard rubber wheels are set in casters with double-ball raceways for an easier swivel and are mounted on deck securely.